Large rooftop deck with views of Victoria Park and the city skyline. Dedicated workspace where you can get some work done or update your travel diary. Cook up a feast in this fully equipped kitchen. Relax on the comfortable queen size bed. 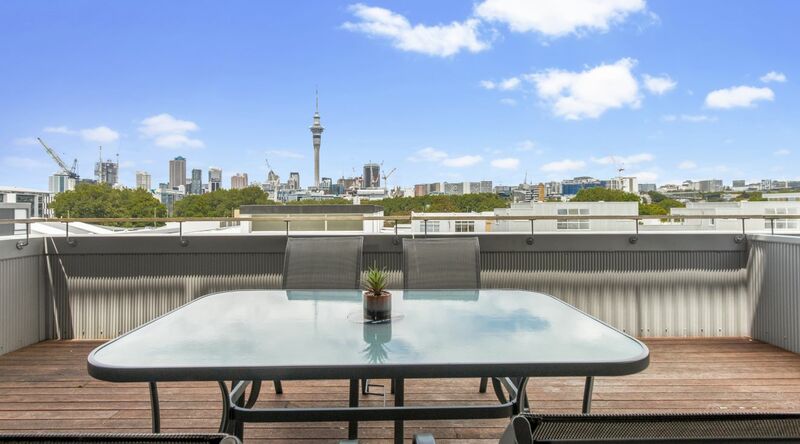 This multilevel townhouse has a rooftop deck offers expansive views of the Auckland city skyline. 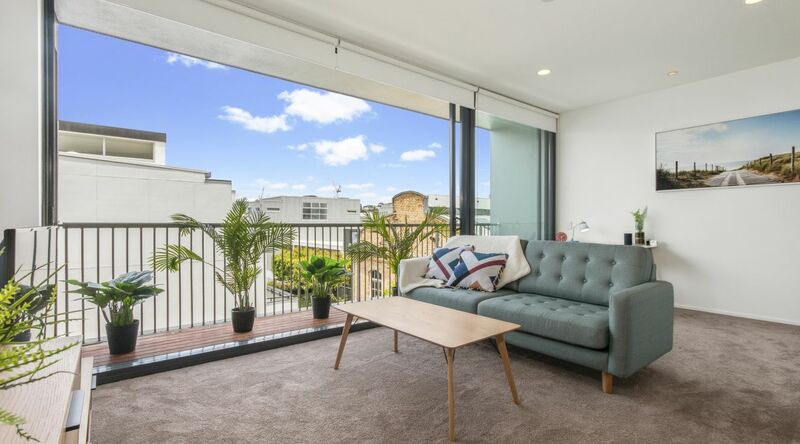 The townhouse has been recently renovated and furnished to a very high standard with new modern contemporary furniture and original artwork from a local artist. High ceilings and an abundance of natural light through the east-facing floor-to-ceiling ranch sliders make this a light and airy, spacious townhouse. Guests frequently leave reviews about how comfortable the Sleepmaker Posture Align beds are when combined with the high thread count sheets and the wool all-seasons duvet. Lisa from Mangawhai said "The beds were fantastic. Just bliss when you put your head on the pillow and snuggled in those luxurious linens. 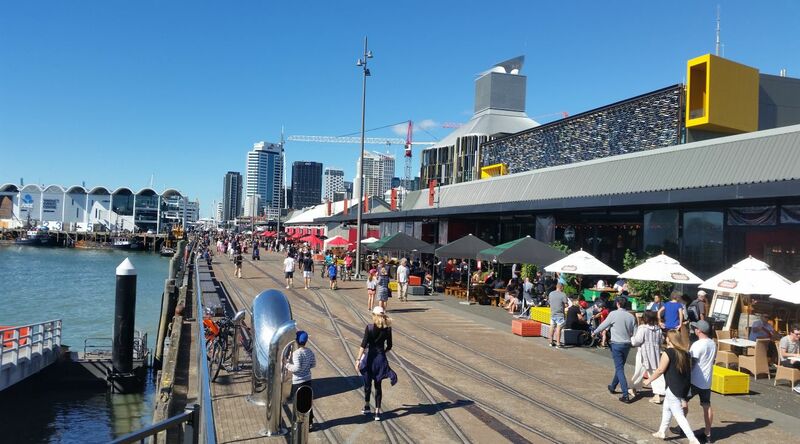 I have to say this because so often in NZ those that rent private accommodation do not make this a priority." With the help of an interior designer, we have furnished this townhouse to a luxurious standard that we hope you will appreciate. Our fully equipped kitchen includes quality stainless steel cookware, an Italian made stir fry pan and good quality knives. We've supplied a Nespresso machine and milk frother for coffee aficionados, and a classic teapot so you can brew the perfect cup of tea. Sit back and relax in style on the comfortable sofa while watching Netflix on the 49" 4K Smart TV or listening to some music on the Amazon Echo speaker. If you need to do a bit of work, set yourself up on the dedicated work desk which fully equipped with power and usb charging. Both bedrooms are roughly the same size. The master bedroom is slightly larger and has a super king size bed (that can be split into two long singles on request), the slightly smaller bedroom has a queen size bed. All beds come with wool all-seasons duvets, high thread count sheets and a selection of soft and feather pillows. The large closets have built in closet organisers and are stocked with clothes hangers. The laundry has a combination washing / dryer and we supply EcoStore washing powder. Split bed (one off $20). We can split the super king size bed into two long single beds.